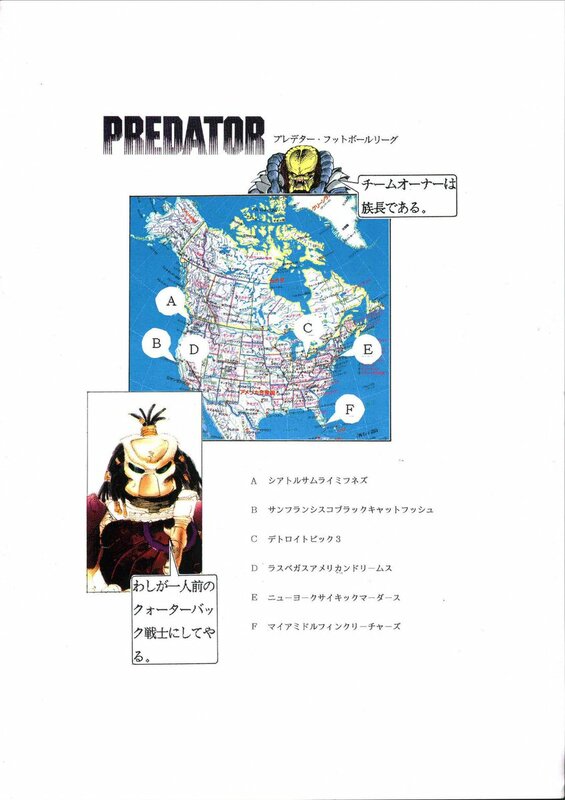 We recently unearthed these conceptual promotional pieces for an Alien vs Predator game for the Sega Genesis that never saw the light of day. ...But this wasn’t just any Alien vs Predator game, this game was an ALIEN VS PREDATOR FOOTBALL GAME! 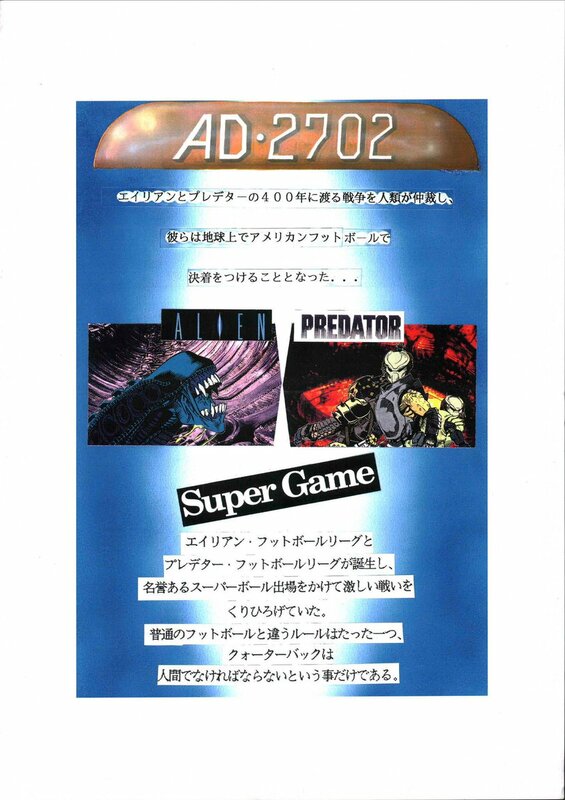 The game appeared to be called ”Cosmic Hard Bowl” and featured the Aliens and Predators settling their long conflict through...American Football. No, we can’t believe it either. We don’t have any other information on this previously unknown title yet, but we’re hoping to find out more about this wild discovery soon. 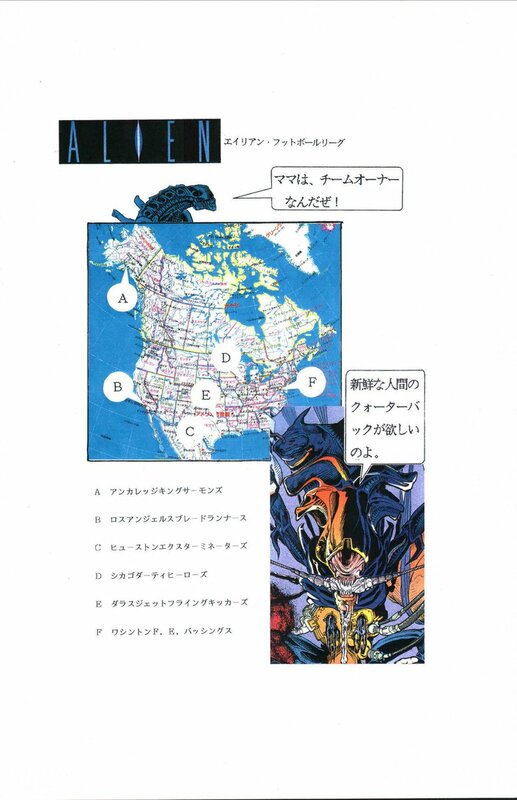 In the meantime, we’ve translated the Japanese in our scans thanks to Mitch Mitchell. You can check them out below! "Mankind had neutralized the 400+ year war between Aliens and Predators. Now they have agreed to finalize the conflict by American Football on Earth. The Alien Football League and the Predator Football League were born and fierce battles engaged for the Super Bowl Title. There was only one new rule. The quarterback must be human."